Cam Rakes is a fell in the Yorkshire Dales that straddles the Pennine watershed between the gathering grounds of the Wharfe and the Ribble. Also known as Oughtershaw Common or Cocklee Fell, Cam Rakes has something of an identity crisis. 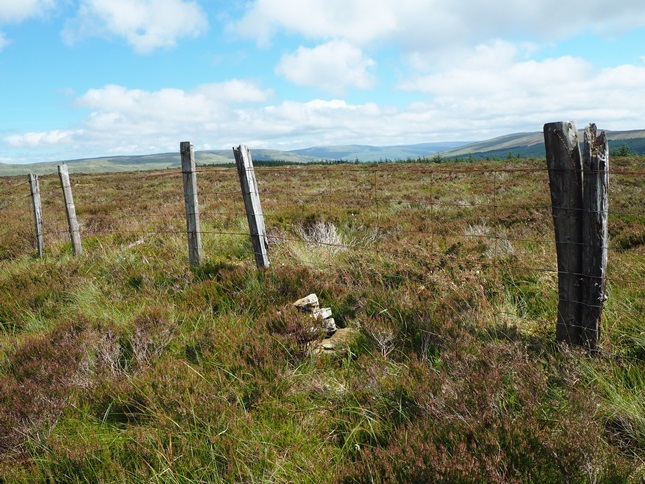 The additional name of Low Green Field Lings given to the Ordnance Survey column near the summit only adds to the confusion. 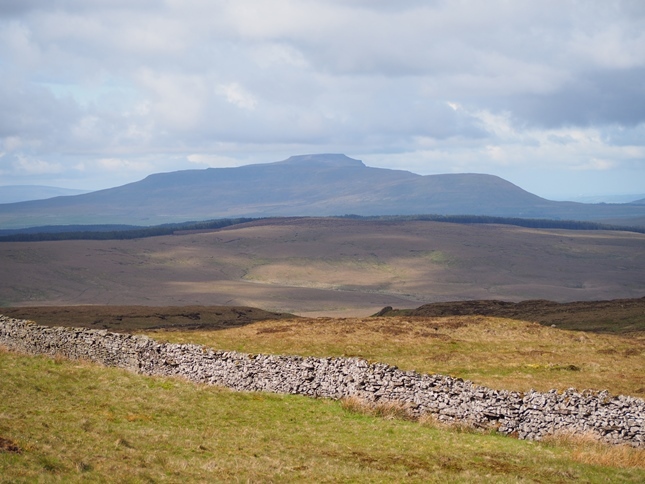 The fact that there is no settled name for the fell is perhaps indicative of the fact that it is one of the lesser known hills in the Dales. The ‘easiest’ approaches are from Oughtershaw to the east or Cam Houses to the north. Using one for ascent and one for descent helps create a good circular route. 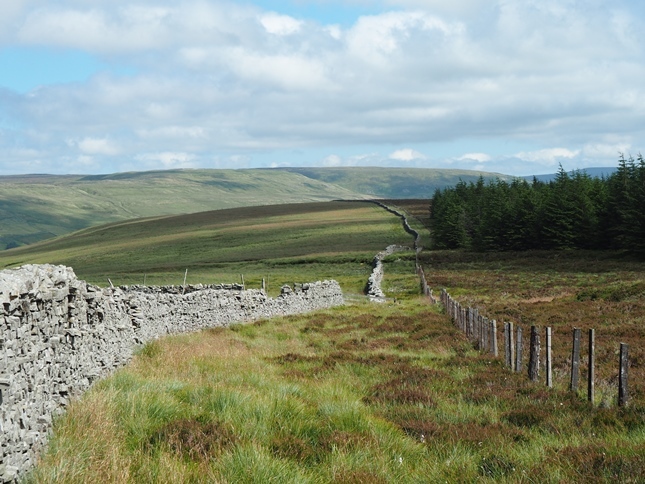 A broken wall and a fence run parallel across much of the crest of the fell which makes route find extremely simple. Underfoot it is a different matter with the three metre wide strip between wall and fence a breeding ground for tussocks and bogs. 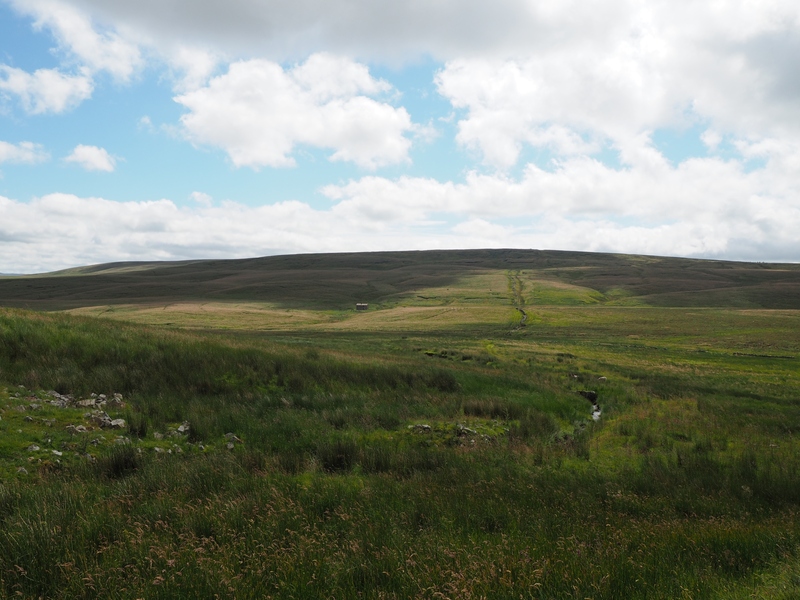 The fell is bounded to the north by Oughtershaw Beck and the infant Cam Beck and by Greenfield Beck to the south. The meeting of Oughtershaw Beck and Greenfield Beck at Beckermonds sees the birth of the River Wharfe and the start of Langstrothdale. Most of the southern flank of the fell is covered in thick plantations and any attempt to approach Cam Rakes from that direction would be ill advised. Although the trees reach the crest of the fell to the east and west of the summit, the summit area itself is heather and moorland grass. The summit is a small pile of stones below a tiny rise in the fence. 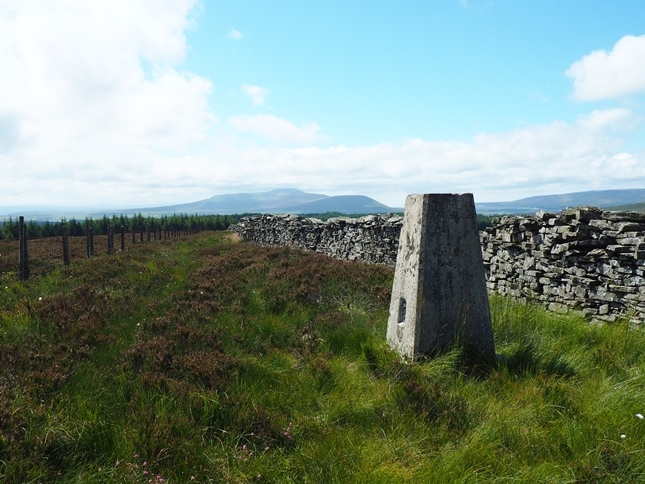 Fifty metres or so to the west is the Ordnance Survey trig point which is 2m lower than the summit. Though the fell is surrounded by higher ground to the north, east and south the view is surprisingly good with Ingleborough and Whernside in particular making a welcome appearance.